Can FC Barcelona win their first league match since the defeat to Betis? 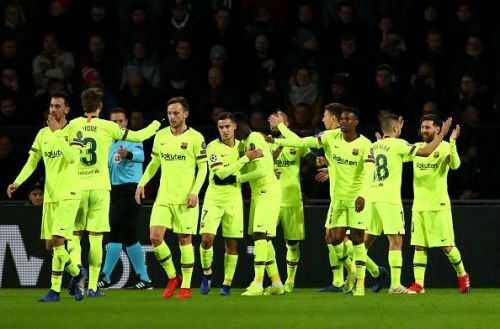 After a comfortable victory over PSV Eindhoven in the Champions League, Barcelona turn their attention to the La Liga where they face Villarreal at the Camp Nou. The Blaugrana have failed to win the last 2 league matches resulting in Sevilla snatching the top spot with a single point lead. Barcelona has been a bit inconsistent in the league season, when compared to their previous ones, with the Blaugrana suffering their first home defeat in 42 matches against Real Betis a couple of weeks ago. The failure of the Catalonians to keep a clean sheet at the Camp Nou since August is another alarming factor. 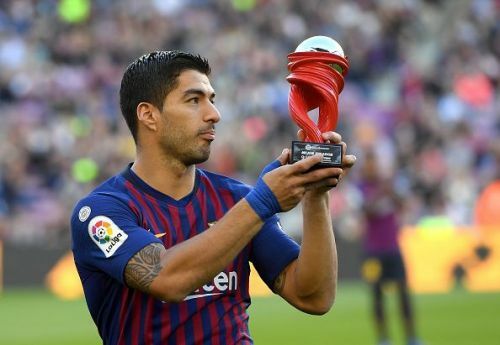 Barcelona will be without striker Luis Suarez after the Uruguayan suffered a knee injury. Midfielders Arthur Melo, Rafinha and Sergi Roberto are all sidelined with injury while Samuel Umtiti is doubtful for the fixture. Villarreal has been plagued with injuries this season with many of their star performers still recovering from their injuries. Bruno Soriano and Javi Fuego are set to miss the match with injuries. Villarreal: Asenjo, Mario, Funes Mori, Ruiz, Pedraza Sag, Caseres, Trigueros, Cazorla, Fornals, Chukwueze, Gerard. The match is expected to produce goals with Barcelona already knocking in 26 goals at the Camp Nou this season so far but the failure of the home side to keep a clean sheet since August will most likely see Villarreal scoring. The match presets Barcelona with an opportunity to get back to winning ways after the travellers have found it hard to get a win.